Enjoy the best inspirational, motivational, positive, funny and famous quotes by Alice Winocour. Use words and picture quotations to push forward and inspire you keep going in life! 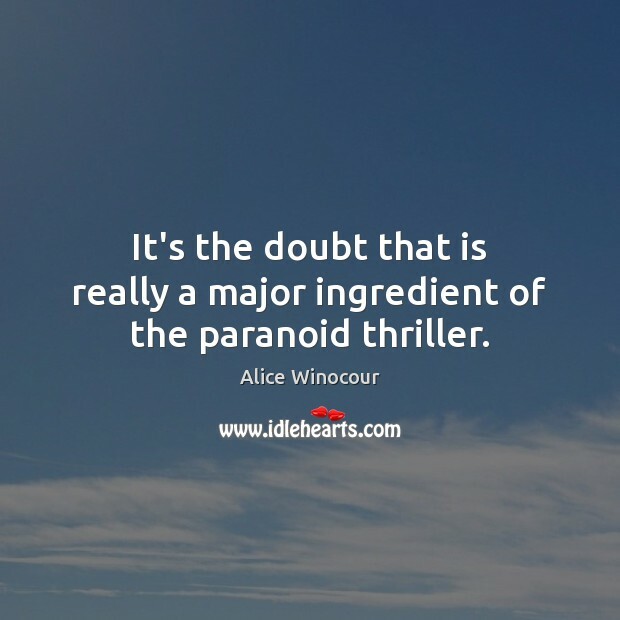 It's the doubt that is really a major ingredient of the paranoid thriller. 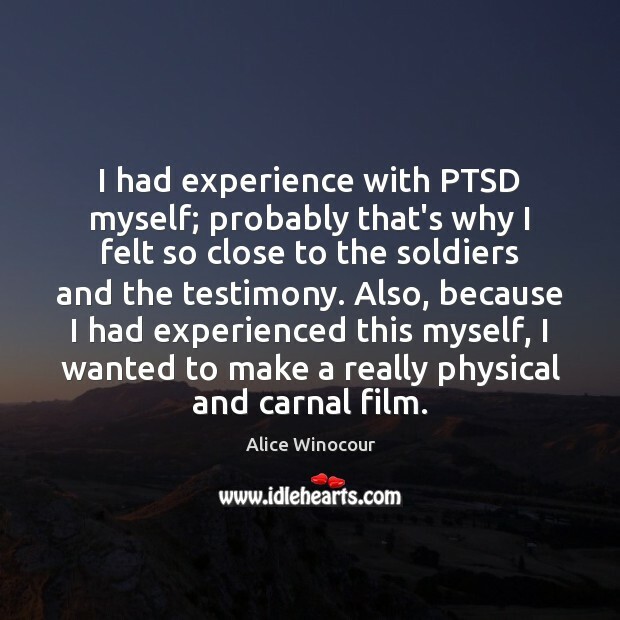 I had experience with PTSD myself; probably that's why I felt so close to the soldiers and the testimony. Also, because I had experienced this myself, I wanted to make a really physical and carnal film. 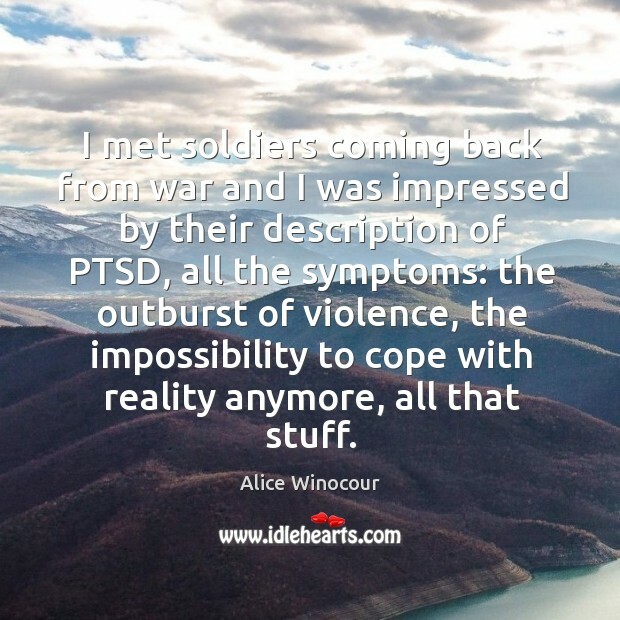 I met soldiers coming back from war and I was impressed by their description of PTSD, all the symptoms: the outburst of violence, the impossibility to cope with reality anymore, all that stuff. 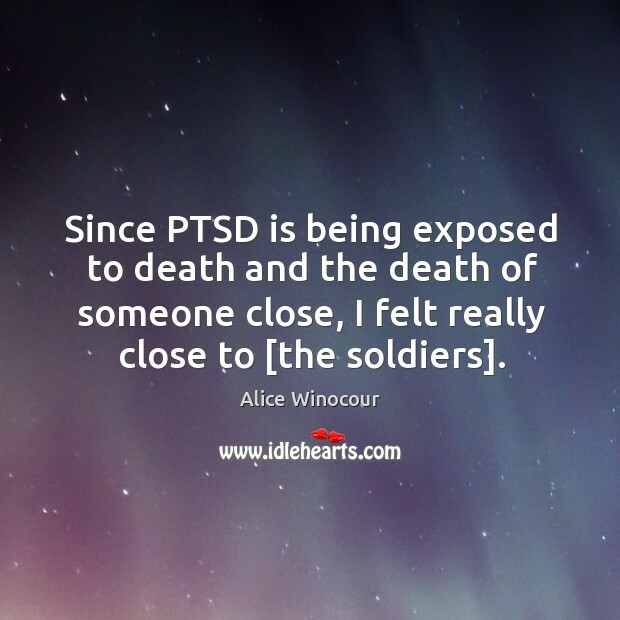 Since PTSD is being exposed to death and the death of someone close, I felt really close to [the soldiers].